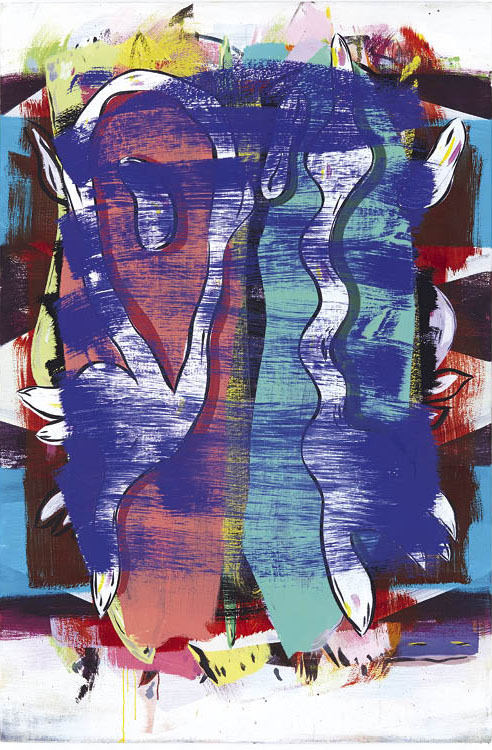 Over the past two years, the contemporary art department has organized exhibitions featuring some of the most original and unorthodox artworks being produced today, but this spring the museum presents the first of two shows that get back to the basics of modern and contemporary art: abstract painting. 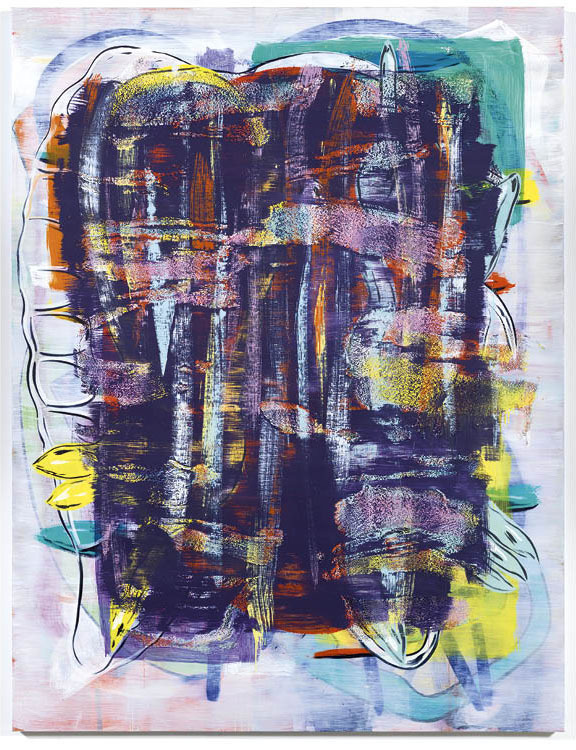 In April Jon Pestoni: Some Years, the first solo institutional exhibition for the Los Angeles–based painter, opened at Transformer Station. Occupying both galleries, the exhibition surveys the past five years of Pestoni’s artistic output, ranging from large-scale, monumental abstract canvases to more intimately scaled works on paper. Born in St. Helena, California, in 1969, Pestoni received his MFA from the University of California, Los Angeles, in 1996. Having worked through a number of painterly modes and processes since the mid-1990s, Pestoni discovered a bold and singular style around 2012. Created with a vivid and optically charged palette, Pestoni’s paintings are marked by the use of multiple layers of geometrical shapes, biomorphic blobs, and gorgeously thin brush strokes. Also typical of the artist’s work is the “dry-on-dry” application of a thin brushstroke onto already dried oil paint, creating a flickering scrim (as opposed to the wet-on-wet technique favored by artists such as Alex Katz). Pestoni’s paintings summon forth an incredible range of influences—including Mark Rothko, Gerhard Richter, Ferdinand Léger, Myron Stout, Joan Mitchell, and Cy Twombly. Though his works are primarily abstract, standing in front of a Pestoni painting conjures up a variety of images, emotions, and physical actions. His works feel especially contemporary despite their traditional facture. Working from one month to two years to finish a painting, he often destroys or paints over a canvas if it feels too proper, too ready, too easy. This anxiety of creating the perfect picture is all too familiar in our digitally connected present. The contemporary art department aims to represent the most relevant and significant art of our time, continuing the CMA’s legacy of presenting art of unsurpassed quality. With this in mind, we offer these winsomely toothy works for viewers to contemplate and enjoy.